Our Mission Statement is a simple one! We are committed to ensuring that you receive the very best in customer care and service excellence. Our employees recognize the most important part of our business is that we provide you a number of great reasons why you should to do business with us. 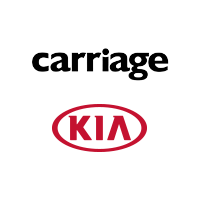 To achieve the mission….Carriage Kia of Woodstock promotes a healthy and friendly working environment where we thrive in serving you but having fun in doing so. We empower our team members to make the right decisions, which not only drive our company culture but also the likelihood for you to recommend us to your friends and family. Our vision for operating a successful business requires that we utilize our resources to simply provide the best service to you, and a desire throughout our organization to foster excellence. In all matters, every team member within our organization will focus on ensuring your satisfaction, by delivering highly personalized guest service. These guiding principles do not stand alone as they represent the spirit and personality of our management team.